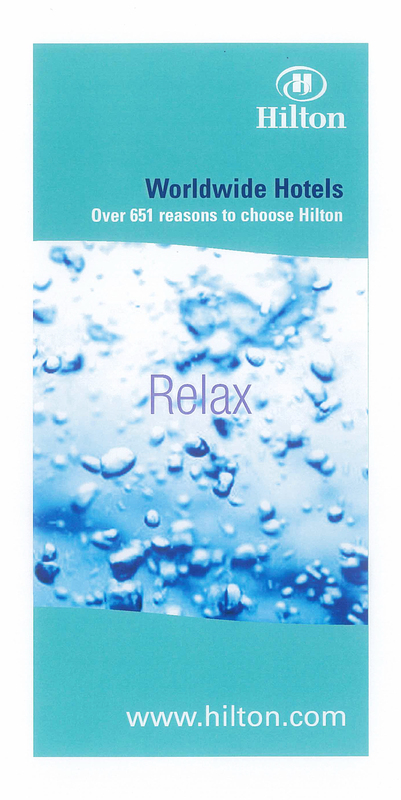 by Hilton and Hilton Grand Vacations. 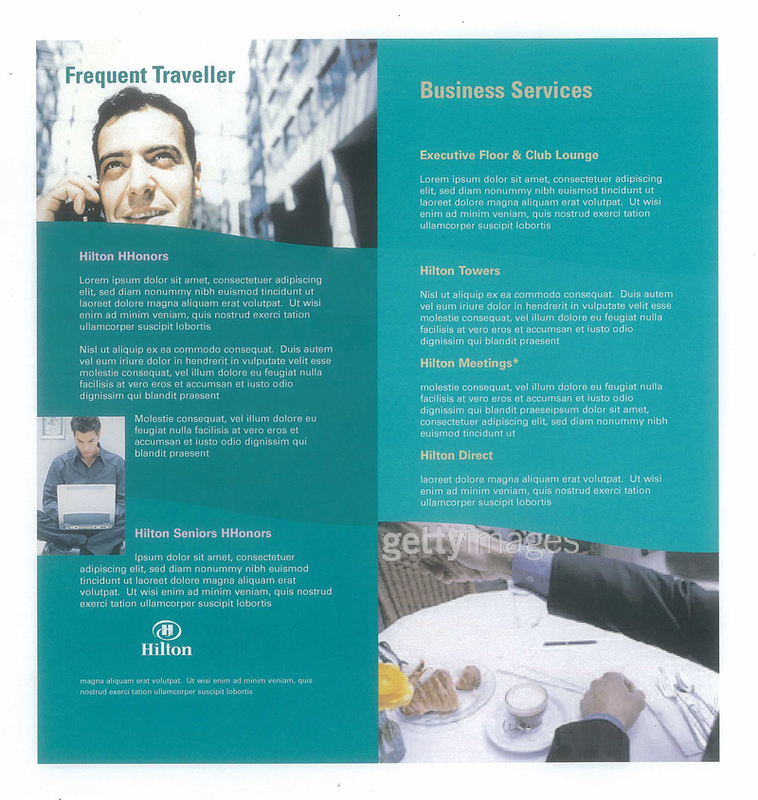 The examples show the original front cover (from the USA), followed by some front cover ideas, internal spreads and to the final front cover. 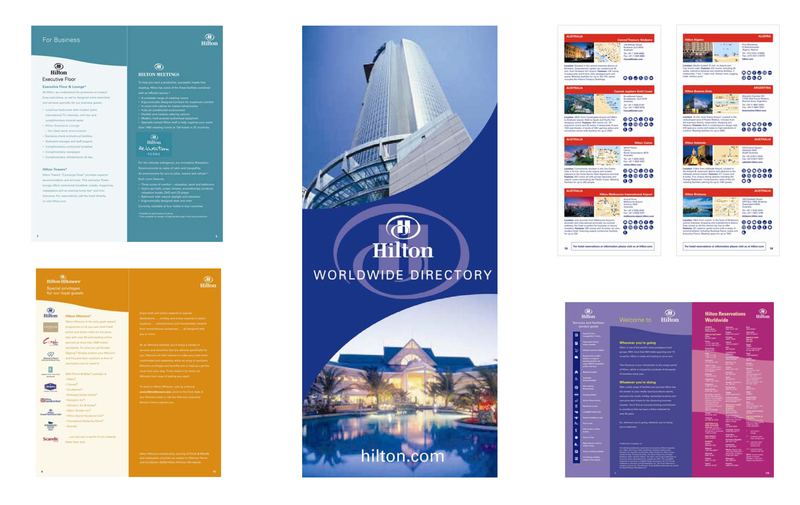 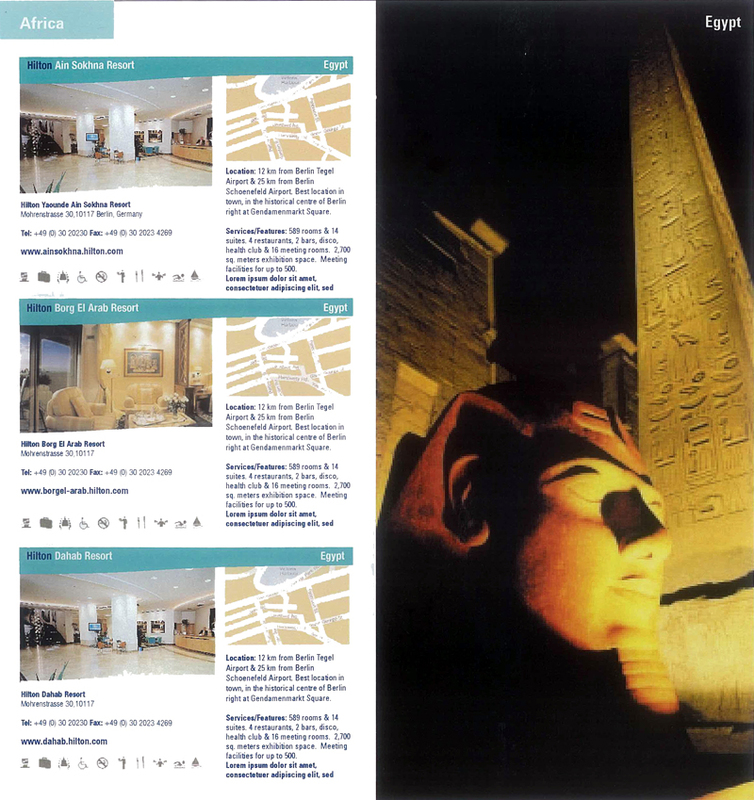 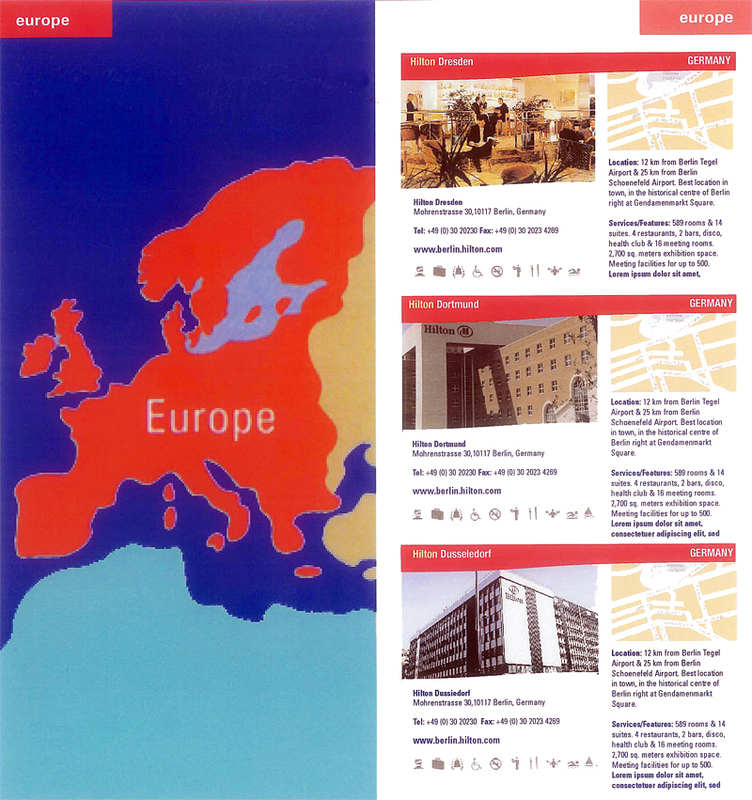 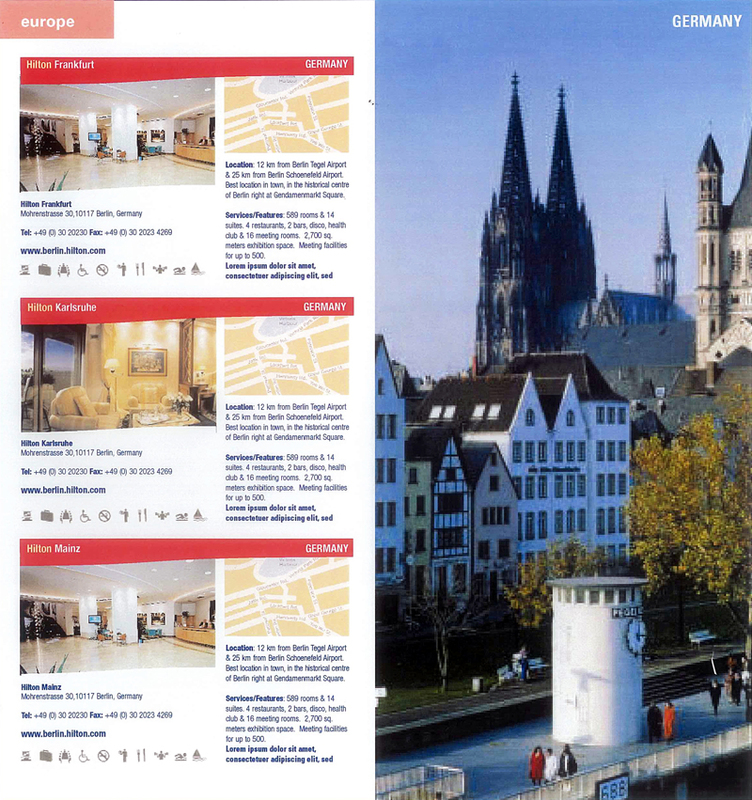 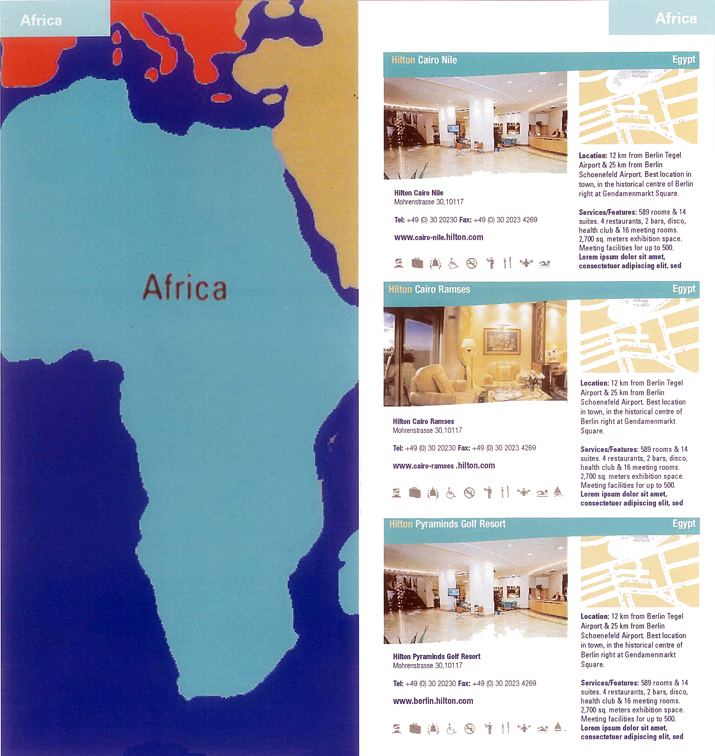 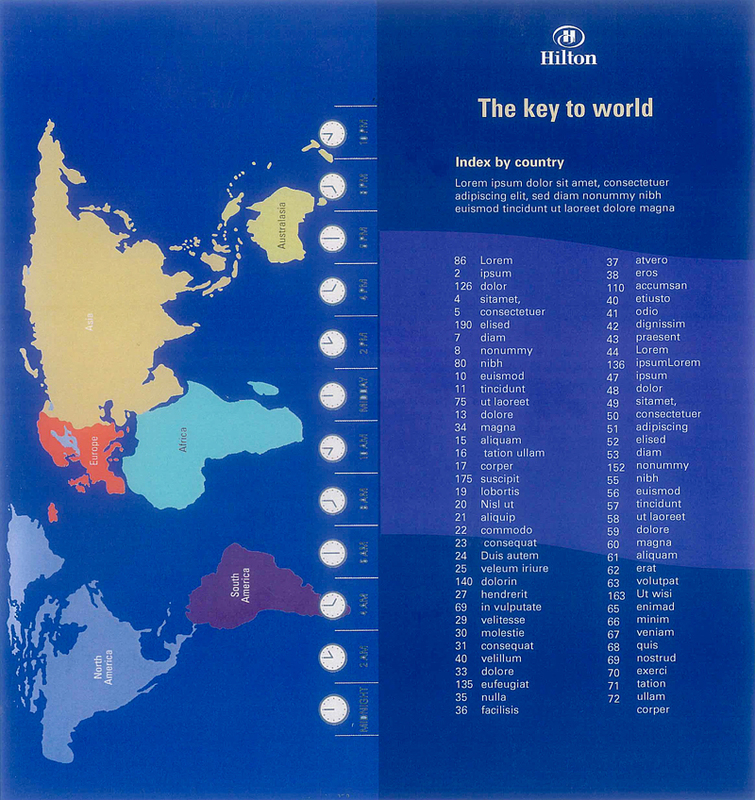 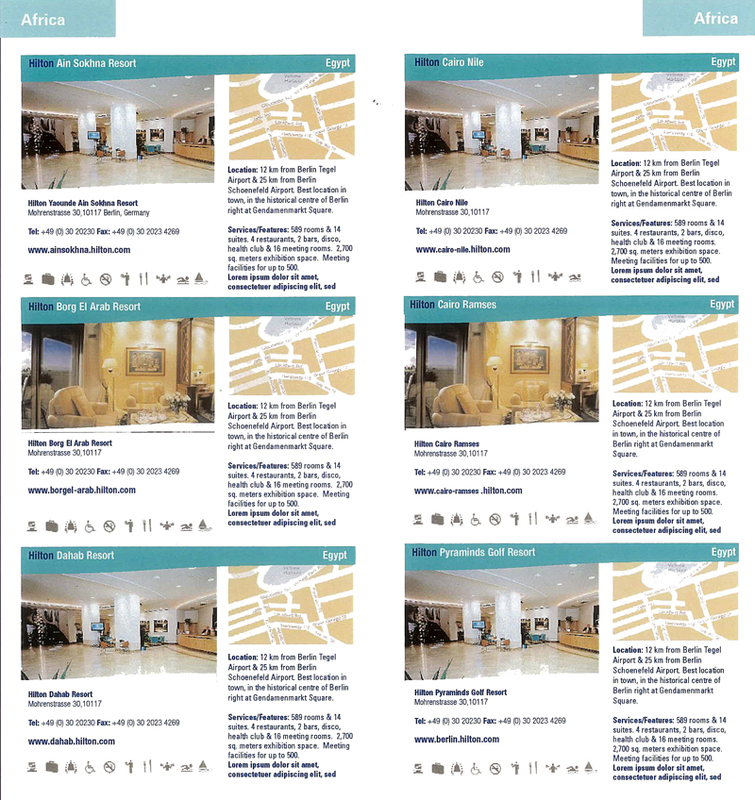 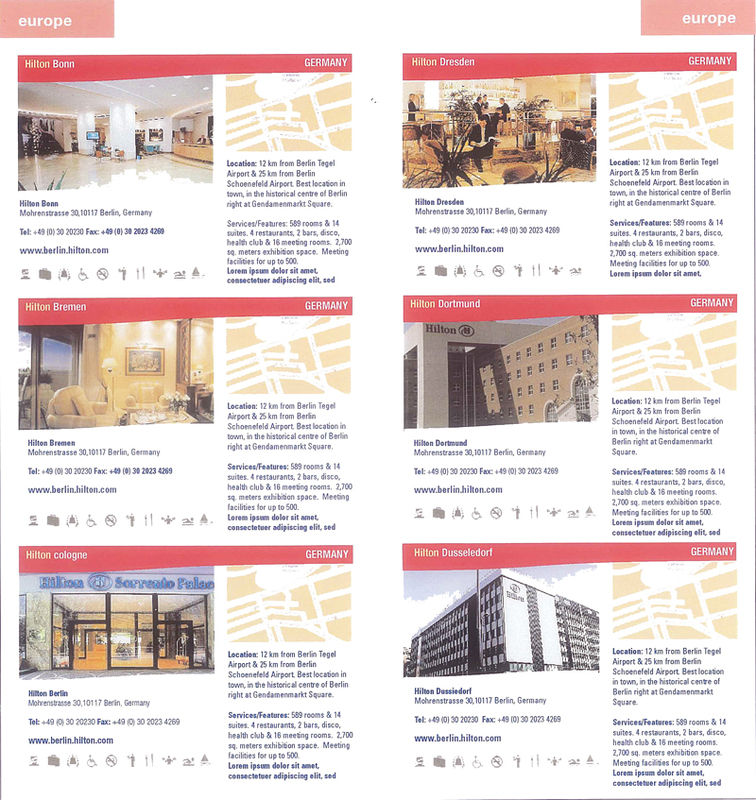 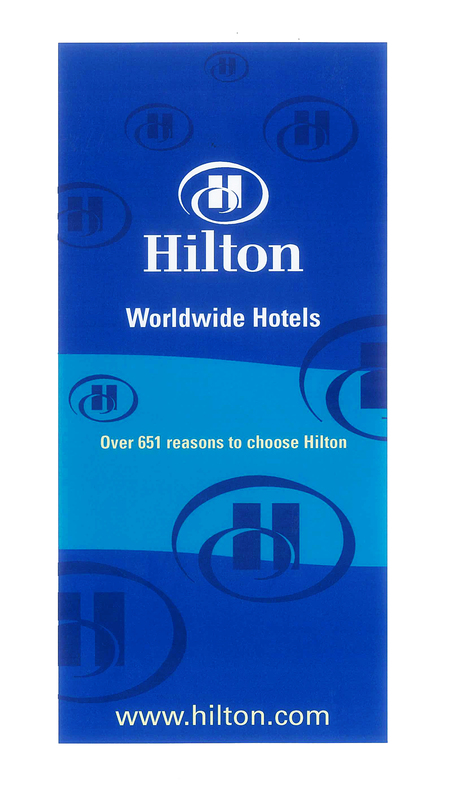 The task was to redesign the Hilton Worldwide Travel Directory, the original having been created by an American company. 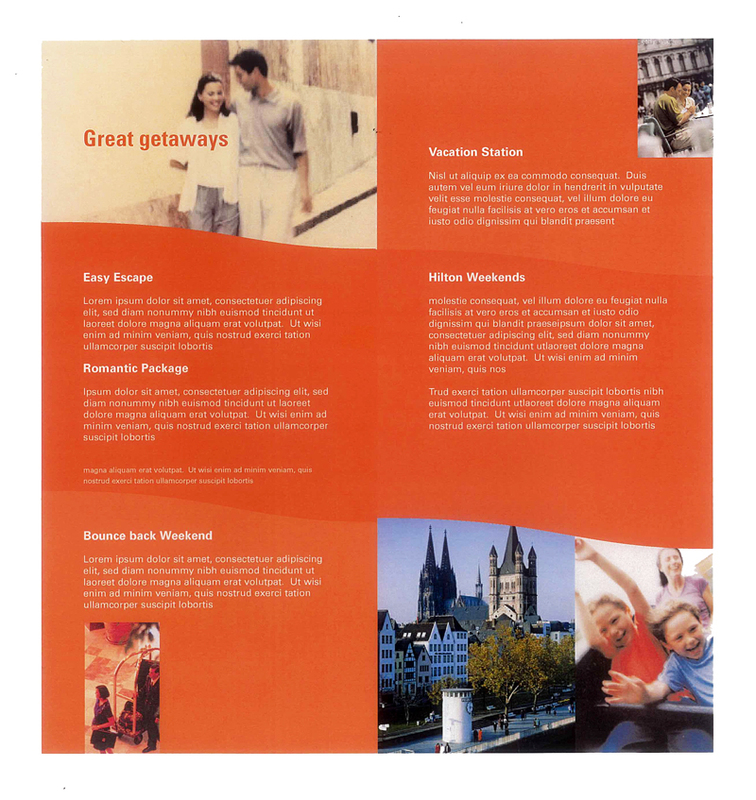 The idea was to show both sides of the brand on the front cover: business travel and family holidays. 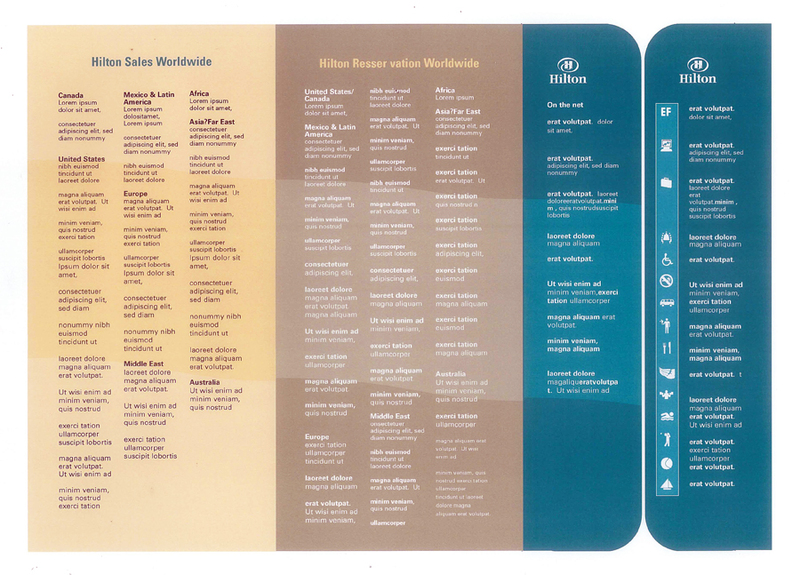 At the same time it had to express elements of the services that Hilton offers its customers.